Motor trade insurance covers a variety of aspects including vehicle sales and servicing, motor mechanics, car valeters, breakdown services, car traders and more. We have cover available for scrap, salvage and vehicle dismantlers and for full and part-time car traders. We can cover sports car, prestige vehicle and import vehicle dealerships with road risk or stock of vehicles at trade premises. ChoiceQuote is one of the best known names in motor trade insurance and has been insuring motor traders and dealerships since 1995. We pride ourselves in offering excellent customer service and can bring you some of the very best motor trade insurance policies in the UK for your business. Whether you’re operating as a full-time or part-time trader, we can help you compare motor trade insurance quotes. Get a motor trade road risk insurance quote online today or speak to one of our expert advisors on 01625 885046 who will make finding the right motor trade policy a trouble free experience. Are you sure it’s a motor trade insurance policy you need? Some people often take out motor trade insurance cover in an attempt to get cover to drive any vehicle. You must be a genuine motor trader (full or part time) to qualify for motor trade cover and insurance companies may ask for proof of this. Vehicle Exclusions – Motor traders insurance policies will exclude certain types of vehicle. Check that the policy you take out covers the vehicles you are dealing in – a list of such vehicles will be available from all insurers. Trading from Premises – A motor trade road risk insurance policy does not cover against loss or damage to vehicles kept at business premises. Additional premises cover may be needed if you want this protection. However, most insurers do not class your home address as business premises. Vehicle Values – Usually claims payments under a motor trader insurance policy will be made at the trade value of the vehicle or vehicles involved. If you have paid retail price for the vehicle(s) in question, you may find a shortfall in the payout. 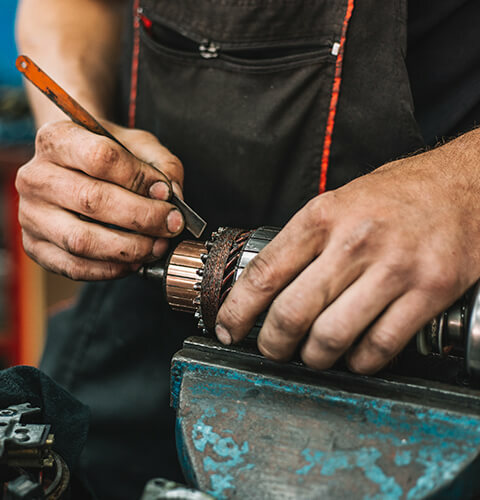 Additional occupations – If you are a part-time motor trader and have another occupation as your main business, the motor trade insurance policy may not cover you to use vehicles in connection with your main occupation e.g. you may be a builder that needs to use a vehicle to travel to different sites. You may require an extension to include this additional use. Cover and Benefits – Many motor trader insurance policies do not provide the kind of benefits normally associated with private car insurance such as like windscreen cover, protected no claims bonus and courtesy vehicles. What motor trade insurance do I need?